Vintage Old Postcard. 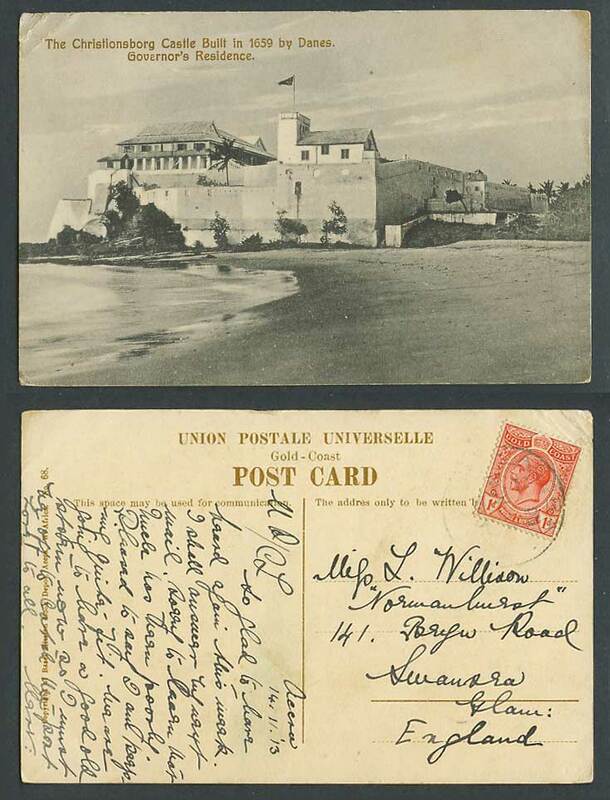 Gold Coast Ghana, The Christionsborg Castle, built in 1659 by Danes, Governor's Residence. Flag Palm Trees. Beach. Seaside Panorama. Postally Used in 1913 with Gold Coast King George 5th 1d stamp, tied Accra.